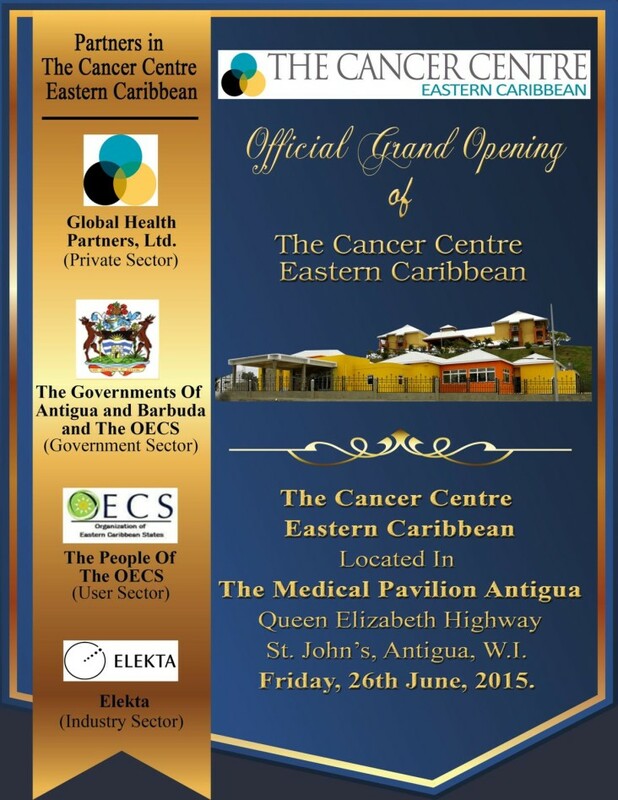 Daily Observer: "Cancer Centre Cleared to Provide Radiation Therapy"
Business Focus: "Manager Director - Cancer Centre Eastern Caribbean"
Business Focus: "A Note from Minister of Health and the Environment Hon. Molwyn Joseph"
Business Focus: "Cancer Centre to be Opened in June"
On Friday, June 26th of 2015, The Cancer Centre Eastern Caribbean (TCCEC), located in The Medical Pavilion Antigua, was officially opened! This momentous occasion attracted the presence of many dignitaries and other distinguished groups, including members of the Private Sector (Global Health Partners, Ltd.), the Government Sector (the Governments of Antigua and Barbuda and the OECS), the User Sector (the People of the OECS), and the Industry Sector (Elekta). Welcome one and all to a place where we are “STRIVING FOR EXCELLENCE WITH A HEARTY SMILE WHILE ENSURING AFFORDABLE ACCESS FOR ALL VIA PARTNERED CARE”.